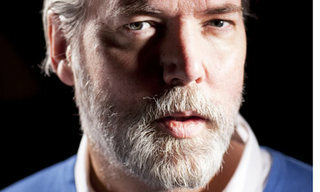 The Canadian writer, artist and closet philosopher Douglas Coupland will be giving a series of Massey Lectures (schedule here) for CBC shortly in support of his 45 tips for survival in our soon-to-be messed up future. Coupland is a Nostradamus for our age and we all should take heed. I wanted to share some of the tips and glossary of words that will soon enter our vocabulary, with credit to the Globe & Mail which focussed on these yesterday in an article titled “A radical pessimist’s guide to the next 10 years“. Tip 6 – The middle class is over. It’s not coming back. Tip 35 – Stupid people will be in charge, only to be replaced by ever-stupider people. You will live in a world without kings, only princes in whom our faith is shattered. Tip 10 – In the same way you can never go backward to a slower computer, you can never go backwards to a lessened state of connectedness. Tip 6 – You’ll spend a lot of your time feeling like a dog leashed to a pole outside the grocery store – separation anxiety will become your permanent state. You can have information or you can have a life, but you cannot have both. Chew on that folks while you read these reviews. 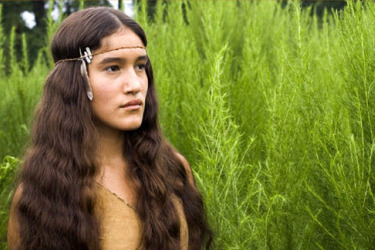 The New World recounts the story of Pocahontas (Q’orianka Kitcher), the 17th century native American princess of lore. Directed by Terrence Malick. You know the story well, Captain Newport (Christopher Plummer) lands on Virginia’s shores in 1607 and with him is the infamous Captain Smith (Colin Farrell) who is eventually integrated into Pocahontas’ tribe as being banished from Jamestown. The two become lovers and the rest they say is history. While there is no denying The New World is stunning visually and incorporates a natural vividness that is breathtaking, director Terrence Malick cannot seem to decide what he actually wants to tell us. There is not one iota of connection between Smith and Pocahontas (blame both actors) nor between Pocahontas and her second husband, John Rolfe (Christian Bale). Worse, Malick incorporates very little dialogue and opts to give us Shakespearean moments where characters prattle on to themselves – in their minds. It’s a very tiresome experience and has this reviewer wishing the New World had never been discovered to save us from schlop like this. My rating 5 out of 10. An irrelevant and comedic look at a post-plague America where zombie’s rule the land and a tiny group of four, as yet-not-infected, people learn a new definition of family amid the rules for life in Zombieland. Directed by Ruben, this delightful – if violent – romp stars Woody Harrelson as Tallahasse; Jesse Eisenberg as Columbus and Emma Stone and Abigail Breslin as Wichita and Little Rock. While over-the-top in a Roadhouse sort of way, the development of these characters as they travel west to Los Angeles is spot-on (thanks to the writers) and the addition of Bill Murray as himself is just perfect. Living amid the undead has never been so much fun and the search for a Twinkee just adds to the weirdness. Book passage soon; no passport required. My rating 8 out of 10. 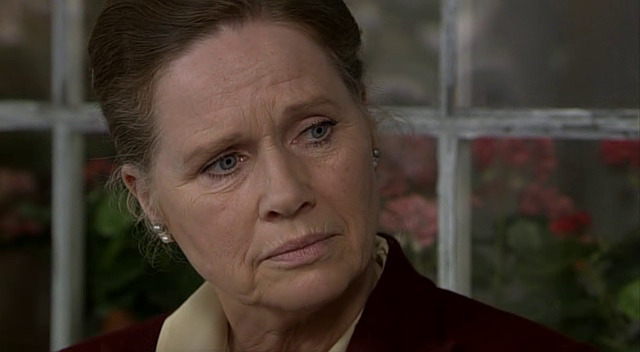 Written and directed by the incomparable Ingmar Bergman, Saraband is a sequel that brings closure to two characters from Bergman’s early career – Marianne (Liv Ullmann ) and Johan (Erland Josephson) – from Scenes of a Marriage (1973). Marianne has returned inexplicably to the lake cottage and there becomes entangled in a power struggle between Johan, his son Henrick (Borje Ahlshedt) and his daughter, the beautiful Karin (Julia Defvenius). Saraband is classic Bergman with all that means for angles and lighting and transitions. But beyond the utter perfection of the art of this film, lies the heartwrenching truth of its message – of how we live our lives and in choosing a certain path are either blessed or cursed to live loved or embittered. Saraband is a deep film that reveals more and more at each viewing and is a fitting testament to a great director. My rating 10 out of 10.